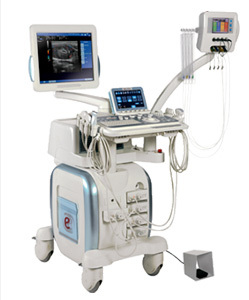 Ultrasound is often used to help guide biopsies and new advances further enable the utility of ultrasound. 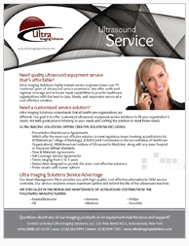 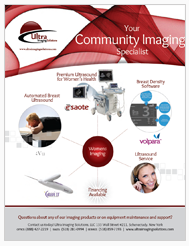 Ultra Imaging Solutions is proud to offer some of the newest advances in interventional ultrasound. 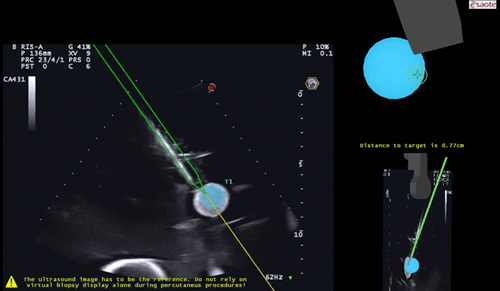 Virtual Navigator provides the ability to fuse real-time ultrasound images with MR, CT, PET, or 3D ultrasound. 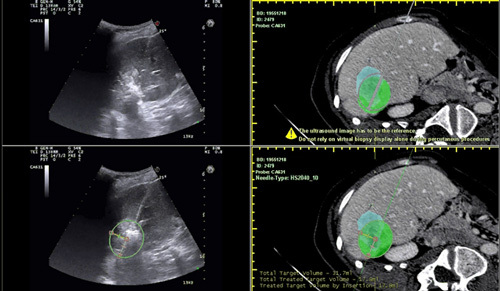 Particularly useful for liver and other abdominal interventions, Virtual Navigator can also be used for a variety of other exams. 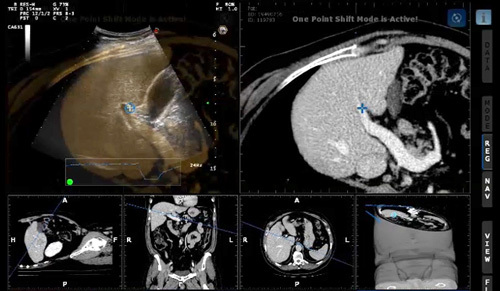 Virtual Navigator is designed to easily integrate into daily clinical practice and facilitate accurate and cost-effective procedures. 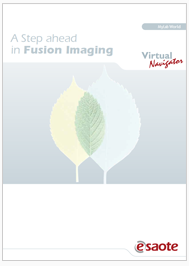 Available in basic, advanced, and extended versions, Virtual Navigator is a configurable and upgradable solution. 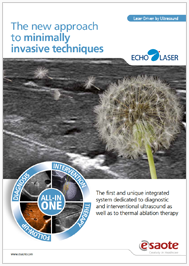 EchoLaser is the first integrated system dedicated to diagnostic ultrasound and minimally invasive laser thermal ablation therapy, which uses percutaneous laser ablation (PLA) to heat a solid tumor until irreversible in situ damage occurs. 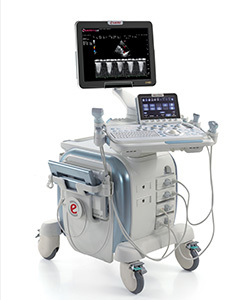 Not yet available in the U.S.A.
EchoLaser is not yet available in the U.S.A.
MyLab is a registered trademark of Esaote S.pA.